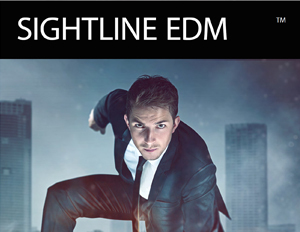 Sightline EDM leverages artificial intelligence and machine learning algorithms to automate anomaly detection, uncover irregular patterns of system behavior and identify potential performance issues from impacting the business. Sightline allows IT Operations teams to spend less time reacting to performance issues and more time proactively preventing expensive service disruptions by automatically establishing historical baselines and identifying behavioral anomalies across today’s modern cloud, virtual and hybrid IT environments. Proactive IT teams rely on Sightline to minimize the cost, duration and impact of IT problems that affect employees, customers and services. Review “spike finder” visualization, charts and graphs to determine the frequency, duration and statistical significance of unexpected patterns of behavior to understand the severity of any given anomaly. Easily establish threshold alerts to provide an early warning system as soon as ideal conditions change to identify issues before they become service disruptions. 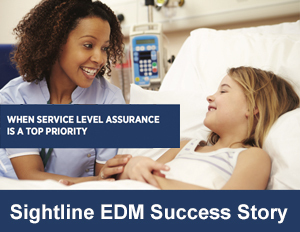 Sightline EDM continuously collects thousands of IT performance metrics on CPU, disk, memory and network utilization in real time to establish historical baselines, identify unusual patterns of behavior and detect anomalies before services are interrupted. Sightline leverages artificial intelligence, machine learning and big data analytics to identify outliers that deviate from historical activity, norms and behaviors. Sightline EDM helps IT teams visualize unexpected data spikes and evaluate the significance of that data to determine whether any given anomaly could be cause for future concern. Sightline EDM helps organizations review statistical confidence levels to determine if a single spike in data is only an outlier or part of a larger problem for the delivery of IT services. 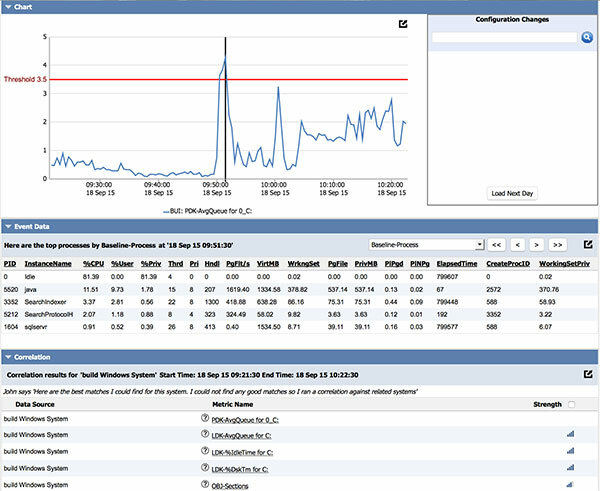 IT Ops teams can easily use Sightline evaluate the severity of the outlier, compare performance metrics against related systems and correlate event timelines to determine the probability of future performance issues. 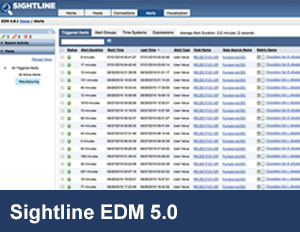 Sightline EDM allows IT teams to spend less time reactively responding to incidents and more time proactively taking action to prevent problems. Sightline helps IT teams conduct root cause analysis, configure real-time alert notifications and establish minimum or maximum performance thresholds to better prevent anomalies from re-occurring.